Michael A. Ogliaruso is the author of Synthesis of Lactones and Lactams, Updates, published by Wiley. 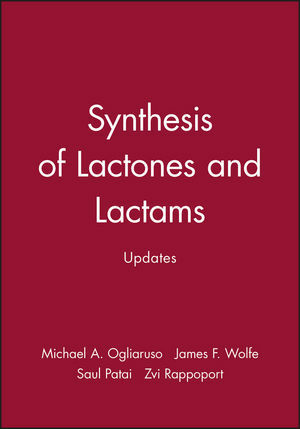 James F. Wolfe is the author of Synthesis of Lactones and Lactams, Updates, published by Wiley. The Synthesis of Lactones and Lactams. Appendix to `The Synthesis of Lactones and Lactams'.